The Deluxe Transfer Bench has built-in soap holder and hand held shower holder. 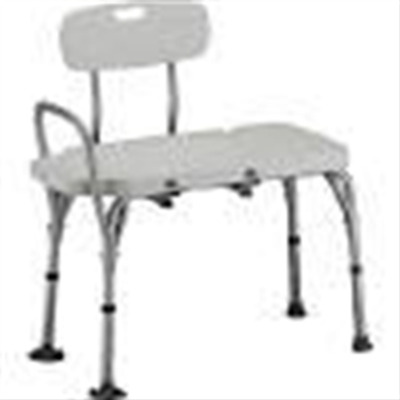 The Back and armrest are removable and can be reversed to fit any tub situation or bathroom layout and accommodate left or right hand transfers. Seat height adj. – 18.5" - 22.5"